Viktor Robertovich Tsoi (Russian: Ви́ктор Ро́бертович Цой; 21 June 1962 – 15 August 1990) was a Soviet musician, singer, and songwriter of Korean-Russian origin, leader of the post-punk band Kino. He is regarded as one of the pioneers of Russian rock and has many devoted fans across the countries of the former Soviet Union even today. 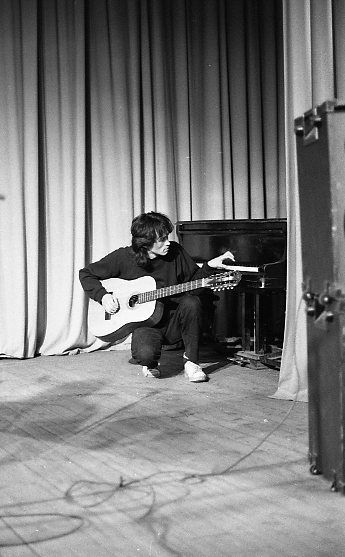 Few musicians in the history of Russian music have been more popular or have had more impact on their genre than Viktor Tsoi and his rock band Kino. Tsoi contributed a plethora of musical and artistic works, including ten albums. Viktor Tsoi died in a car accident on August 15, 1990, aged 28. Read more on Wikipedia.